The Peruvian south coast is perfect for people who just arrived in Peru and want to get used to the culture without being in high altitudes. Another advantage is the climate which is really nice, with a lot of sunshine during the days. Paracas is located 250 km. south of Lima city, is a beautiful bay full of attractions nearby like The Paracas National reserve, The Ballestas Islands and many options of adventure sports like sandboard and sandrail in Huacachina Oasis. 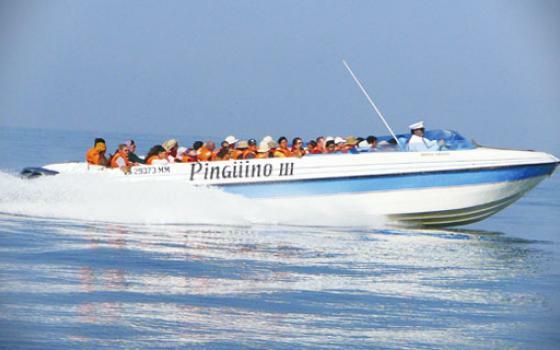 We begin the tour at 6:00 a.m. in the morning when our representative picks you up from your hotel or place agreed and drives you straight to the first stop Paracas city, then we will start the tour to the Ballestas Islands, known as the Peruvian Galapagos. These islands are spectacular, eroded into numerous arches and caves which provide shelter for thousands of sea lions and seabirds, some of which are very rare. We then will drive to Ica City located 45 minutes south from Paracas to take Sand dunes buggie tour in Huacachina. We will provide this tour at your convenience and pleasure, if you want to experience the beauty of the dunes but are not looking for excitement or adrenalin we can drive in a slow an relaxing way instead of racing up and down the dunes. You will have the chance to try the adventure of sandboarding and to take great photographs. Then, spare time to have lunch at a restaurant of your election. We get back to Lima at around 8:00 p.m.
1. - Two Passengers - $280.00 USD per person, Roundtrip service provided in a full equipped sedan. 2. - Three Passengers - $250.00 USD per person, Roundtrip service provided in a full equipped sedan. 3. - Four Passengers - $220.00 USD per person, Roundtrip service provided in a full equipped SUV. - Please let us know your inquiries and doubts about this destination.